Within the European Union, EU, conformity of products and the proper application of the CE marking to medical devices is necessary for marketing. The intent is to ensure compliance with all relevant EU Directives. The guarantee of free trade of goods within the Community is the most important objective. This will eliminate trade restrictions that result from different technical regulations in each individual member country. Harmonization of existing European standards and regulations, is being accomplished and already partially realized. Based on this goal, a new concept for creating directives was formed in 1985 by the European Community (EC) Commission to produce directives with a wide range of application which contain only the most basic safety requirements. The CE mark is prescribed by law and assures the European free trade of goods. 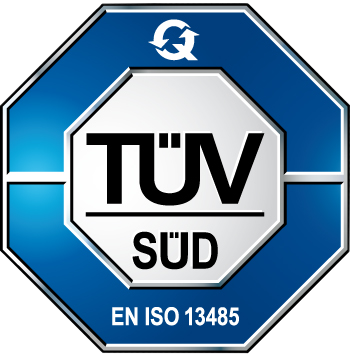 It is short for ”Communauté Européen”, and is displayed on goods and/or packaging which acts as an external symbol for the inspection of products. It also illustrates the manufacturer’s responsibility to uphold the community’s directives. Product Categories: Sterile and non sterile medical devices: breathing circuits and connectors, humidification chambers, catheters mount, masks, filters, spirometry filters and mouthpieces, bags and manual breathing units, monitor lines, extraglottic, tracheal, tracheal-bronchial, tracheostomy tubes and introducers, aerosol and oxygen therapy devices, PEEP valves; suction devices. Product Categories: Oro-nasopharyngeal airway, breathing exercisers, laryngoscopy bite block, air management fixation devices, swabs for oral care. Enteral and rectal tubes.